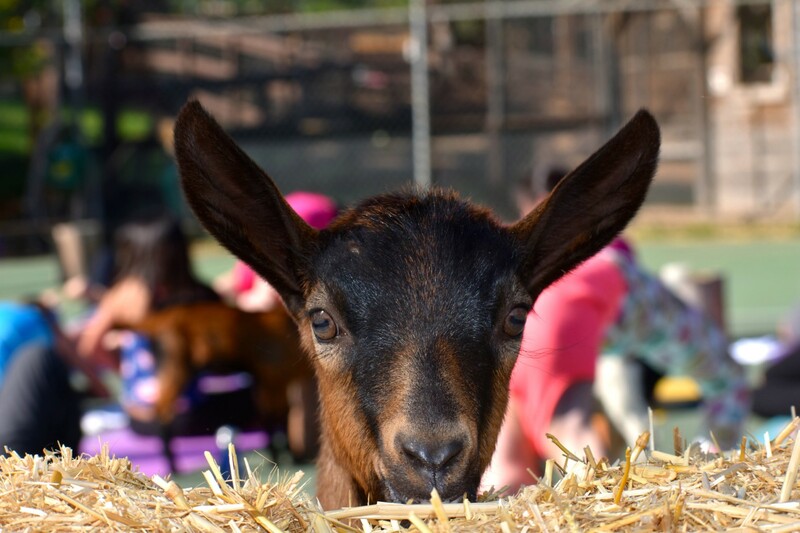 ENCINITAS — It’s hard to say who had more fun — the Girl Scouts or the goats. 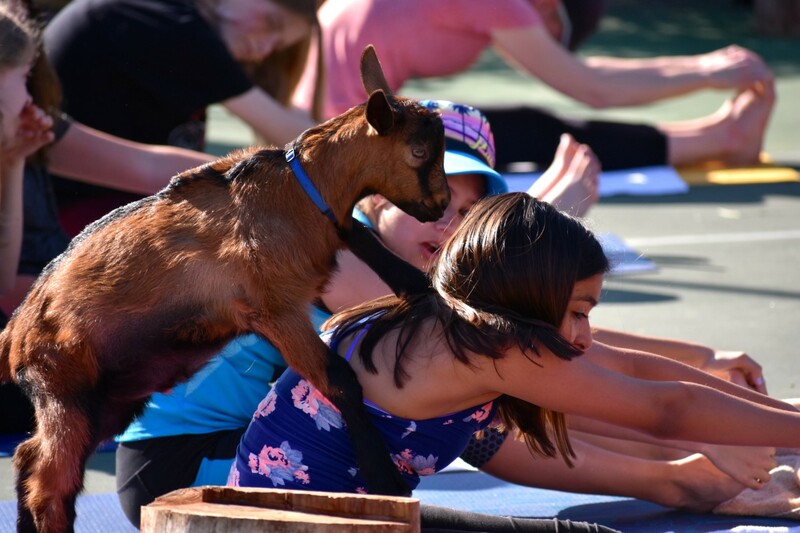 It might have been the Girl Scouts, who were face-to-face with baby goats that joined them during a yoga class at Sugar Sweet Farm in Encinitas on April 8. Goat yoga is trending nationwide these days and what causes it to be so popular is anyone’s guess. Sunday’s yoga teacher, Janie Surico, said she has no idea either, but whatever it is sends people away with smiles on their faces. She has been teaching yoga for nine years and has been leading goat yoga for about a month. About 30 Girl Scouts from all over the county and some moms attended the free event held on a tennis court on a perfect San Diego sunny Sunday. 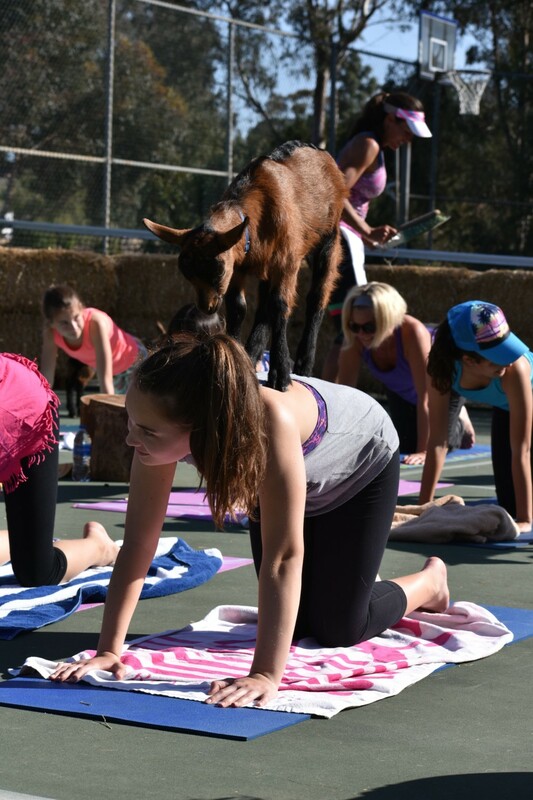 “It’s yoga and goats — what could be better?” mom Erin Fullerton said before the class. As the group went through their yoga positions, about 20 goats were released and the rest was just pure fun. Goats, a seemingly perfect therapy animal, were everywhere, jumping, frolicking and enjoying the attention of the girls and vice versa. “It was so much fun when the goat jumped on your back,” said Lacey Lampheer, 13. Mom Tami Krebs and daughter Kyndall agreed it was fun to interact with the goats. After class the girls got the opportunity to cuddle with the goats and then learn how baby goats nurse. Some of the Scouts even got warm milk from the mama goat shot directly into their mouths. By all accounts, goat yoga began in Michigan by Lainey Moore only a few years ago. She has since moved to Oregon and continues with her goat endeavors. The goats have been a 4-H project for 16-year-old Sissy Sugarman since the age of 10. The goat yoga came to mind as a way to finance her herd, since regulations forbid selling goat milk without a license. She said she is a too small an operation to go to the expense of a license and the rest of the red tape involved. She normally charges $40 per class. Her idea to host goat yoga has taken off, though. Two classes are offered a week and that number is growing since word-of-mouth has spread. And Sissy has started to look around for organizations that could be helped by a class. On May 25 she will host a charity event to benefit the Challenged Athlete Foundation, which helps provide athletes with tools to help them be the best they can be. The foundation’s mission is to help challenged athletes succeed in life through sports, community and mentorship. Sissy also likes the idea of leading Scouts and youth and school groups around the farm, so they can have an opportunity to meet farm animals and walk through orchards and gardens to get an idea where their food comes from. The Sugarman kids, Sissy and Bubba, are home-schooled and run the farm as a small business is part of their schooling. 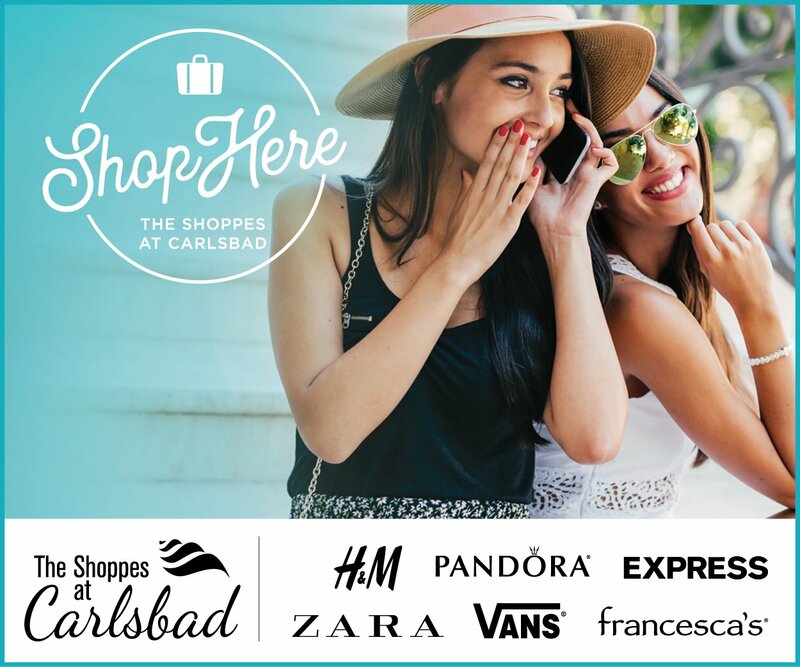 Sissy also takes classes at MiraCosta College and other schools in the area. She plans to be a veterinarian. Sugar Sweet Farm is located at 3563 Fortuna Ranch Road. 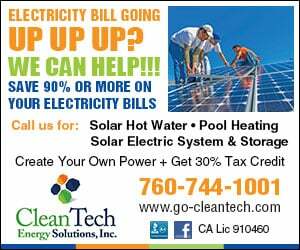 To sign up for the May 25 charity event for the Challenge Athletes Foundation, call (760) 815-6616.